Registration for 2019 now closed. The Treaty 4 Citizens’ Police Academy will be held at the Saskatchewan Police College in Regina, SK from May 6th – May 10th, 2019. The Treaty 4 Citizens’ Police Academy is an interactive one week program that gives participants hands on experience and information on many facets of policing. Participants will write the SIGMA exam and run the POPAT test, which are the first two steps in the application process. Should the applicant be successful in both tests, these can be used for actual police application to a Municipal Police Service within Saskatchewan. Diversify the Police Service by encouraging more Indigenous and Diversity candidates, however, anyone can apply. Provide candidates with a better understanding of the opportunities available within the policing profession, and provide a closer look into the initial steps for the hiring process (SIGMA and POPAT). 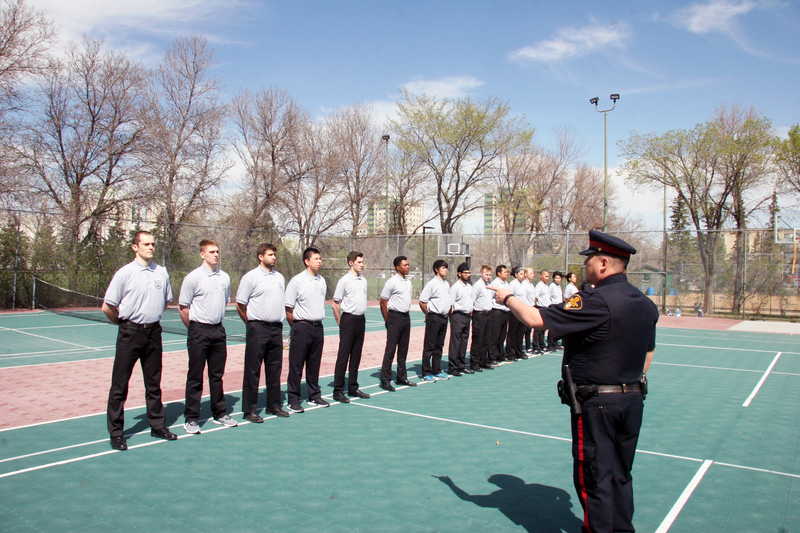 Introduce the basic requirements and demands placed on a police recruit at the Saskatchewan Police College. Provide a measure of the applicant’s physical and cognitive abilities which are necessary in the hiring process. This is a great opportunity for potential applicants to experience life as a police recruit living in residence at the University of Regina just as Saskatchewan Police Recruits do. Any one 18 years of age or older may apply! The cost breakdown shown below is for each candidate attending the Treaty 4 Citizens’ Police Academy. Please be aware, a $50 deposit is to accompany your registration. Cash or cheque is acceptable. The initial $50 deposit will help ensure orders for room, meals, and uniforms are arranged in a timely manner for candidates. Invoicing is also available for sponsors/funders. The deadline to apply is March 31st, 2019. Should your registration be unsuccessful, you will be notified and the $50 deposit will be refunded to you or your sponsoring agency in full. Upon acceptance into the program after a background check, the remaining payment of $325 can be made to Regina Police Service. Receipts are issued whenever payments are received. Full final payment of $325 must be received by May 6th, 2019. 1717 Osler Street, Regina Sask.